Today is the first Saturday of June which means the debut of our June Leading Lady, Crystal Thompson! This past January I had the privilege of hanging out with some of the amazing ladies from the Talent including meeting Heather's friend, Crystal. Then, I recalled a lovely card Crystal had made for a challenge in particular because she had used Heather's photography set up (you know how you can identify some people's cards by the styling, right?) and connected the card with the crafter. 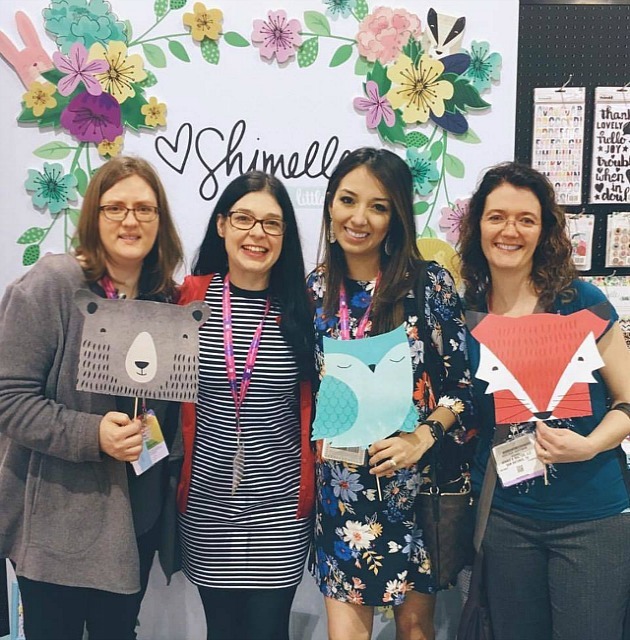 Crystal immediately made such a wonderful impression as being someone passionate about papercrafting and being a fabulous person. Her work has a clean and simple vibe with thoughtful touches and just a perfect dash of the dramatic. You may have seen her work recently as a guest for Pretty Pink Posh for their March Release or on Butterfly Reflections, Ink. 's blog. Not only does she craft, but she has also designed stamp sets with Joy Clair too like this darling set HERE! This month she will be taking us all on a creative journey of her own design sure to leave us inspired. Crystal has some other inspiration planned throughout the month elsewhere so make sure you follow her on Instagram and Facebook too! Please give Crystal a big round of applause to welcome her as she steps onto the stage for her first performance as our June Leading Lady! Hi there! First of all, thank you so much for spending your Saturday here with us. 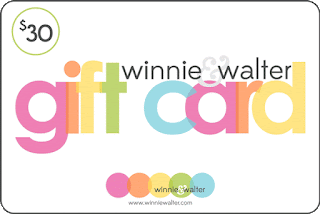 My name is Crystal and I am honored to be Winnie and Walter's June Leading Lady. I been working hard this past month creating a few cards with the wonderful Spring release. Before I show you my first project, I'd like to tell you a bit about me. I am a stay at home mom and wife of 4 kids, 2 Labradors and 1 kitten. Our littlest bundle of joy was born in April, so between diaper changes and chasing toddlers I create cards and share them on my blog (www.crystal-thompson.com). I have been a longtime fan of Winnie and Walter and in January, I had the pleasure of meeting Shay at CHA in Phoenix. Our friendship was instantaneous and I absolutely love her zest for anything crafty plus she is super fun. Enough about our adventures, here is my first project. I wanted to create something simple and elegant, perfect for the post Mother's Day gifting without using any dies. Just stamping and layering. 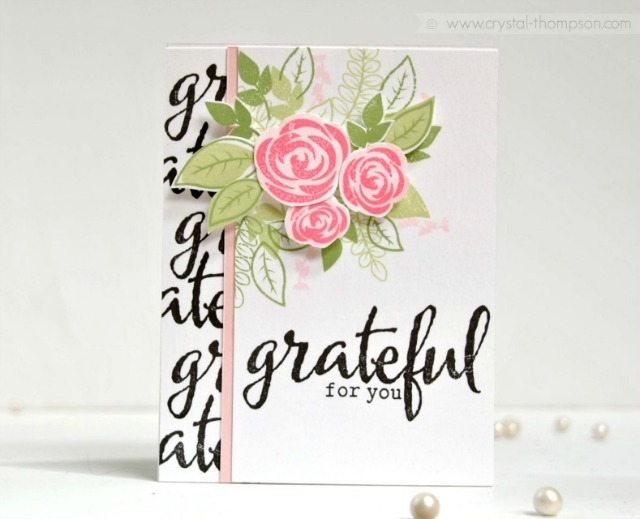 First I used the grateful sentiment from The Big, the Bold and Blessings stamped over and over in black ink on the card base. Next, I trimmed the white card stock to fit 1/4 of the card base and stamped the leaves from In Bloom: Lola's Bouquet with Joni Andaya . Then, I stamped the sentiment from The Bid, the Bold and Blessings on the card front. The pink card stock was then adhered to the card front, then glued over the card base. On a separate sheet of card stock, I stamped more leaves and flowers from In Bloom: Lola's Bouquet and fuzzy cut those to be placed over the stamped leaves on the card front. This card can be replicated with different sentiments and color schemes. I love how simple it was to make, and the flowers really are the focal point. Now, as your June Leading Lady, I been given a $30 gift certificate to pass on to you. 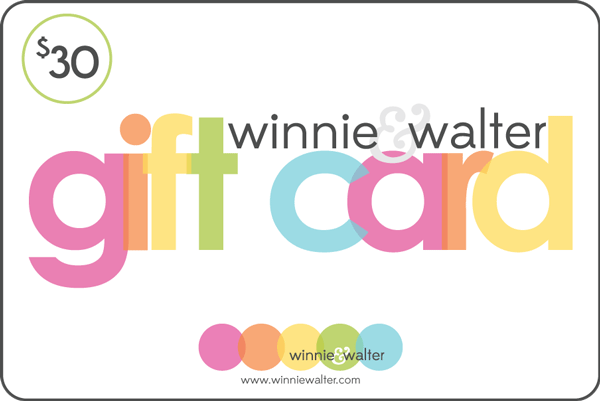 All you have to do is comment on my Winnie & Walter posts on my blog! At the end of the month, I will draw a name from the comments! I will be posting every Saturday, so if you comment on each post you have 4x the chances of winning. That is all for now, hope you join me next Saturday for another card! Have a fabulous week. Such a great pic from CHA! LOVE your beautiful card! The design is absolutely wonderful and the colors are perfect. Beautiful card! Love the flowers and the dimension! Great layering! Cute picture of the 4 of you--fun to see what people look like that I don't get to meet in person! Your card is stunning--just what I like! Congrats on being June's Leading Lady! Your card is so elegant and beautiful! What a creative way to use the sentiment stamp. Very much looking fwd to seeing what else you will share with us this month. Such a sweet card, beautiful! 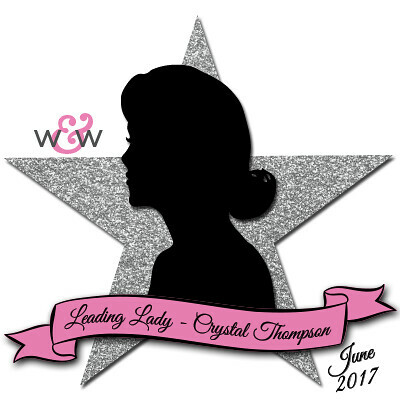 Congrats on being the June Leading Lady, Crystal!!! This is such a pretty & elegant card! Congratulations on being chosen as Leading Lady! I like this beautiful floral card design. A truly beautiful card, Crystal. I love the way you used the sentiment for the border. Love this card....the layout, colors and simple elegance! Thank you! Congratulations! Beautiful floral card and the mermaid stamp set you designed is just darling. Love those sweet pink roses against the black and white background! So fun and modern. Love it card and how you used the sentiment as part of your background. Very pretty! Very elegant card. Love the colors. Great to be able to put faces to names. Beautiful card! I love bold sentiments and making my own pattern paper or cardbase. This card has both. TY for sharing.